After a horrific week in America, with the killings of Alton Sterling and Philando Castile at the hands of law enforcement, people have been shaken. Racial lines have gotten bolder. Consciousness is at the forefront. Questions of "What next?!?" are being asked. 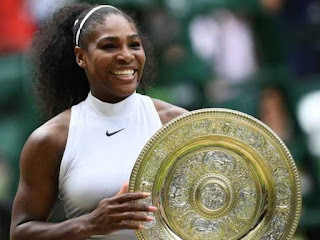 In spite of this tough few days, debates over who and how lives matter, and tears unnecessarily shed, Serena's victory has been a breath of fresh air. Yesterday, tennis legend Serena Williams won her 22nd Grand Slam singles title, tying the record for most in the Open Era. This win was not only a bright spot in a week of darkness, but a reminder of how a nation can unite when it wants to. Many other bloggers have written about the experience Black America has endured this week. It's completely worth everyone taking the time to become more conscious of something often put to the side because of the harsh, divisive history this nation has been built on. Like the horrors of 9-11 and many other American tragedies, we must never forget that which is continuing to hold us back. Remember, so you're equipped to rise. Athletics has always been a uniting force. No matter the event, Americans always find a way to band together over athletic events. 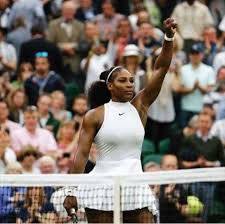 Serena's win is also a good reminder of the value African-Americans should put on themselves and the value others should see in us, too.